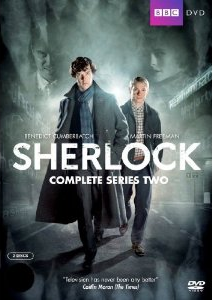 If you notice it carefully the second season of British TV Serial Sherlock have 3 episodes where Sherlock is challenged to deal with Love, Fear and Death respectively. The Hounds of BaskerVille is thus focused on the Fear factor. The original story was written in a a way that Sherlock is not active for around half of the story and Dr. Watson was focused more during the part. However it is not case with the TV episode, it brings Holmes in from the beginning. As this is originally a horror story, the makers are challenged to create the environment in the way it look convincing to the modern audience and go smoothly with the modern adaptation of its main characters. Mark Gatiss (who played Mycroft Holmes through out the series) felt more pressure (of expectations from the makers and viewers both) when writing this episode, as the story is already very popular. He however come up with interesting episode content successfully. If you read this interview of Mark Gatiss you will find his vision about the content of the episode. He mentions that Haunted Houses and other such scary or horror things are not fitting into today’s circumstances, rather than that, the faceless government, conspiracy theories,… and other such things scares people these days. The filming of this episode was around a month’s work. Main shooting was done in May 2011 and additional scenes were shot in July and August the same year. The hunt for the village which look very “English” also took its time. The locations are convincing. The episode is nicely written for sure. In addition to the tight and thoughtfully written script, the episode also got support of background music which synchronises with the content pretty smoothly. The dialogs are first rate. Sometimes you may wish that the way they are delivered in speed (based on the persona of the lead character), they requires active attention from the viewer. 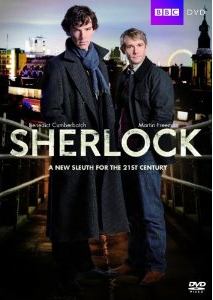 Benedict and Martin delivers fantastic performances as expected. But, then, it would be injustice to skip almost any name of the cast member in terms of performance. Most of them are convincing and have delivered sincere performance. The cinematography is good and the HD quality makes it really detailed and enjoyable. The use of modern technologies as the part of the episode content and used for filming, is exceptionally good. The quality of DVD is good in all aspects. Let us take a very brief look at the content of the episode. We will try to avoid spoilers but you may find some of them here. Henry Knight visits Sherlock and John and tells them about the horrible incident he witnessed 20 years ago. He saw his father got killed by a “gigantic hound” in Dartmoor! He then underwent therapy and after many years of treatment he paid a visit to the “site” again. And, he saw the hound again there!!! Sherlock however wan’t very curious to take the case into the hands, but he found the usage of word “hound” instead of “dog” quite interesting. He and John visit Dartmoor on the course. Interestingly there was a military research base at Baskerville, near to the location. Holmes and John decided to visit that restricted area. They use Mycroft’s security pass. Before they complete their visit however the security alert was raised, and they was about to be thrown out by the security personnels, when Dr. Robert Frankland vouch for Sherlock’s identity and saved them. Robert then explain his relationship with Henry’s father. This episode also explores incidents when a detective (or any too intelligent person) tries thinking of mystery in almost every event. For example, the light signals they were thought of some “morse code” messages turns out to be random lights by dodgers! However to be a detective one needs to explore all the aspects of any events, so it is justified. And, it also convey that, it is not the thing that all your assumptions got to be true, no matter how clever you are. You however have to keep your mind and eyes open to resolve the mystery. With the same logic, Sherlock thought that the word “hound” could be an acronym of something (H.O.U.N.D.) which lead him towards the clue. Rest is better to watch on screen. Our verdict: If crime thrillers are what you like to watch and detective fictions are your choice, then you should not miss this episode.